Prologue (B. Kjerfve). 1. Coastal Lagoon Processes (B. Kjerfve). 2. Physical Setting and Geomorphology of Coastal Lagoons (E.C.F. Bird). 3. Geological History of Coastal Lagoons (L. Martin, J.M.L. Dominguez). 4. Water, Salt, and Heat Balances of Coastal Lagoons (N.P. Smith). 5. Modeling of Circulation and Dispersion in Coastal Lagoons (M.L. Spaulding). 6. Mass Balance of Nutrient Fluxes in Coastal Lagoons (S.V. Smith, M.J. Atkinson). 7. Sediment Transport Processes in Coastal Lagoons (M.M. Nichols, J.D. Boon III). 8. Biogeochemistry of Heavy Metals in Coastal Lagoons (L.D. de Lacerda). 9. Aquatic Primary Production in Coastal Lagoons (B. Knoppers). 10. Secondary Productivity in Coastal Lagoons (S.A. Borrego). 11. Macrofaunal Community Structure and Life Histories in Coastal Lagoons (R.S.K. Barnes). 12. Coastal Lagoons as Fish Habitats (A. Yáñez-Arancibia, A.L.L. Dominguez, D. Pauly). 13. Fisheries in Coastal Lagoons (D. Pauly, A. Yáñez-Arancibia). 14. Aquaculture in Coastal Lagoons (D.J. Macintosh). 15. Application of Biotechnology to Coastal Lagoons (M.A. Borowitzka). 16. Coastal Lagoon Ecosystem Modeling (C. Hearn, R. Lukatelich, A.J. McComb). 17. Engineering Projects in Coastal Lagoons (P. Bruun). 18. Money and Energy Analysis for Coastal Lagoon Resources (A.L. Philomena). 19. Future of Research in Coastal Lagoons (H. Postma). Index. 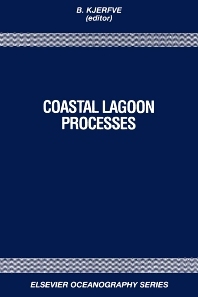 This is a broad-based review of the environmental, oceanographic, engineering, and management aspects of coastal lagoons summarized in a convenient single volume. A comprehensive literature review, as well as references add to the utility of this volume, creating an invaluable resource for academics, scientists, and laymen. University of South Carolina, Belle W. Baruch Institute for Marine Biology and Coastal Research, Columbia, SC 29208, USA.